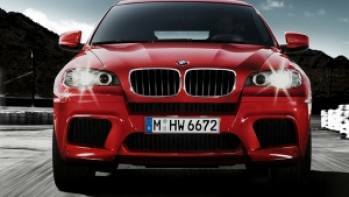 One would imagine that with awareness of green technology and the spiraling fuel prices, the demand and sale of petrol engine and luxury cars will take a graphic downward curve, but surprisingly big names like BMW still produce cars that spell opulence. 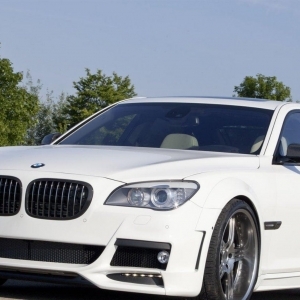 The V12 engine is highly favored in the U.S and China, and BMW's 7 series has numerous avatars that are hot sellers from as long back as '87 to the Active Hybrid 2013 that is yet to be unveiled. 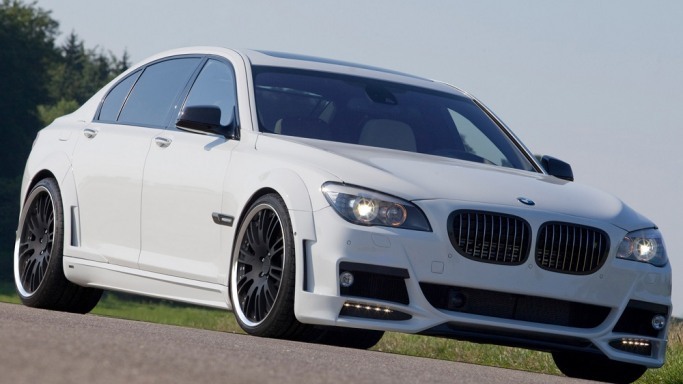 In 2010, the BMW 760i beat its competitors with the power boosting twin turbo-chargers for its V12 engine and its previous models. The base price of $ 137,425 is no deterrent for avid buyers. 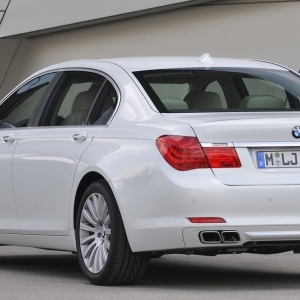 The 760 Li which is the 760 i with a 5.5" longer base specifically produced for the U.S. 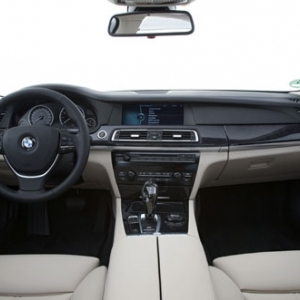 The 760i/Li is also very hi-tech, with everything except steering and braking having complete electronic controls. The interior is roomy and comfortable with no fussy or frilly pampering. Bolstered, warm, firm and adjustable seats with an option for the sporty type, decorates the cabin. 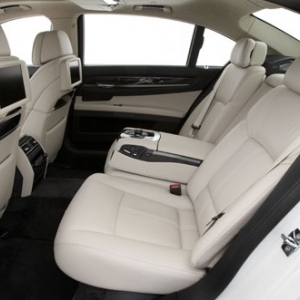 Door panels in leather with aluminium and fine wood trim, steering wheels that can be heated and roomy rear seats are novel features which emphasize on comfort rather than a gaudy and boastful interior. 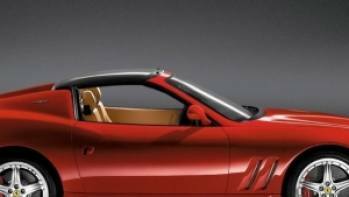 But customized options from fine grained leather to a wide range of colors for the rooftop to match the upholstery is also available. 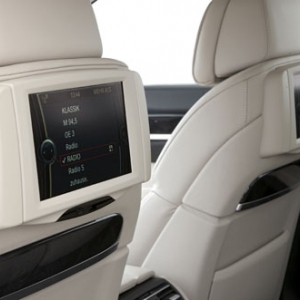 Four-zone automatic air conditioning for individual control, unlimited internet connection, a navigation system with a wide range of functions and a state of the art audio and video entertainment system, and mobile phone preparation kit with a bluetooth interface are all a part of the console. 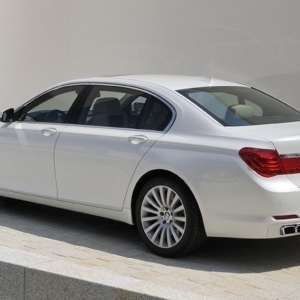 A classy luxury sedan, the 760i stands smugly with unrivaled presence, a quality common to all BMW's. 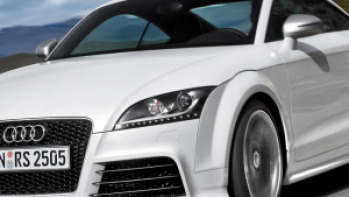 Mansory styled the imposing sedan, combining aerodynamics with stability. Integrated LED lights for daytime are fixed on a new bumper with carbon fiber grill. 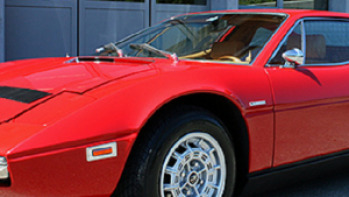 Sports exhaust system with steel mufflers to minimize back pressure are built into the rear in rectangular pairs on either side. One piece, 81/2 J x 19 for the front and 9 1/2 J x 19 for the rear wheels are fitted with high performance tires that hug the road with tenacity even under high speeds. 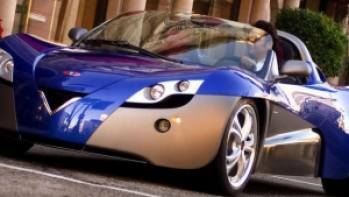 New side skirts channelize the air as it cuts through at jet speeds. This awesome four door has an Intelligent Safety Information Service with 14 sensors and controls apart from airbags to protect the front, back, head and knees. The trunk is capacious enough for long distance travel for a family of four.